August 31, 2010 1:17 pm / 1 Comment on Licensed to Drive? One recommendation often made in light of the increasing frequency of road crashes is on the review of the licensing system of drivers in this country. It may sound like a broken record but there are again calls for a review and even overhaul of a licensing system that appears to be insufficient in ensuring that drivers have an orientation towards road safety. Any person observing traffic along Philippine roads will easily come to the conclusion that most drivers are undisciplined and are not knowledgeable of even basic traffic rules and regulations. Public utility vehicle drivers, in particular, can be seen speeding and making risky maneuvers, their drivers not seeming to care at all that they are responsible for the safety of their passengers. Truck drivers change lanes as if they are using compact cars. Motorcyclists seem to be oblivious that they are also covered by the same traffic rules and regulations governing all other road users. This is not to say that private car drivers do not have the propensity for aggressive or risky driving. In fact, we have the tendency to put much of the blame on PUV and truck drivers for dangerous situations in traffic when private car drivers are also highly likely to cause road crashes. Truly, it is one thing to know how to operate a vehicle and another to know how to drive one. In the Philippines, a lot of people learn to operate a vehicle but even after several years, still do not know how to drive. This is a result of how these people learned to operate vehicles; a method that is often referred to by its sole requirement – lakas ng loob. Learning to drive via established schools or academies, after all, is not required as a prerequisite to qualifying for a license. One can take the written examination Practical examinations are virtually inexistent and unlike the ones conducted in countries with strict licensing systems. When I took my examinations for my license, I was surprised to learn that the only distinction between the practical tests for non-professional and professional licenses was that you get to drive a dilapidated truck forward then backward for the professional license. That was more than 15 years ago and at the central office of the licensing agency. This experience has always reminded me of how easy it was for one to get a professional driver’s license. Perhaps there is a need to revisit how we grant drivers’ licenses in this country. There are many examples of good practices in other countries that it begs the question why we haven’t followed their lead. The Singapore Safety Driving Center offers at least twelve courses for different types of drivers including those for heavy vehicles, buses, taxis, motorcycles and motor vehicles. Such is required since each type of vehicle would require different skills. People wanting to become bus drivers in that country must secure a vocational license. Prospective truck drivers have a stricter regimen for training and an even stricter set of requirements in terms of experience. In Japan, one is required to learn driving through a formal school. Schools have their own driving facilities where skills are taught and students are able to practice various maneuvers before they are even allowed to drive in actual traffic. New drivers are even required to attach a sticker (0ne that looks like a leaf) to their cars so that other drivers may be made aware of the former’s presence. In the US and Canada, theoretical tests are computerized and questions are selected in random by a computer. This ensures that the people taking the exams will be tested for their knowledge of traffic rules and regulations, including signs that are often regarded as mere suggestions in the Philippines if not neglected outright by many who claim to be drivers. Practical tests are also conducted in a strict manner and the exam is designed to challenge one’s skills given different situations including what to do when changing lanes, making a turn and approaching an intersection. There is also the dreaded parallel parking maneuver that is a required skill for anyone intending to use roadside parking spaces. It is not difficult to see that a review of our licensing system is long past due. Examples in other countries may serve as models for coming up with a system that will encourage safe driving and weed out those who are not qualified to drive. True, these countries especially the US have their own problems concerning road safety. However, we must realize that these are countries with good licensing systems – systems that were designed to at least minimize the likelihood of having people not unsuitable for driving being granted licenses and the responsibility of having in their hands the lives of other people. Such systems are not perfect but what system is? Human and other factors are also in the mix but then these results in what can rightfully be called “accidents,” incidents that could not be prevented let alone be predicted. In the Philippines, we cannot even categorize crashes as accidents because most are preventable and predictable, the latter being a result of the way people drive their vehicle in our streets and highways. 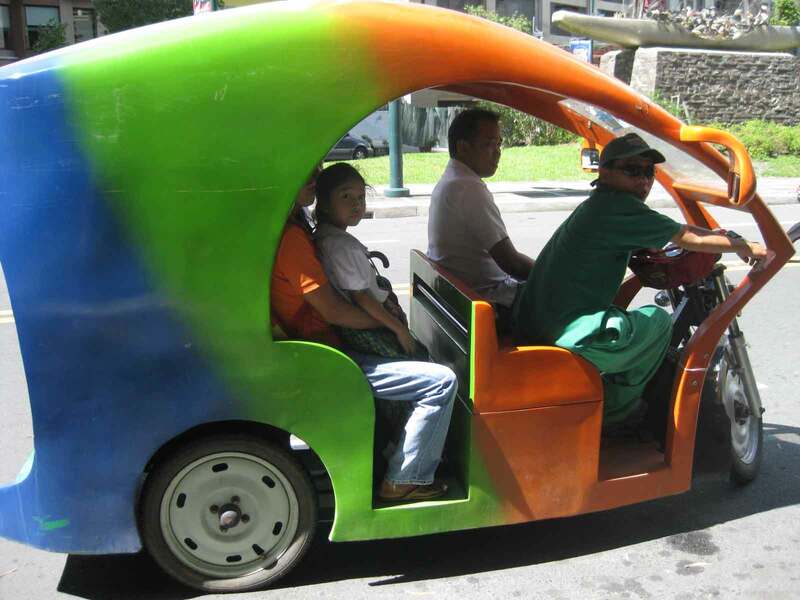 The professional driver’s license should have at least 4 categories in the Philippines: (a) Basic – for drivers of taxis, rental cars and companies (limited to light vehicles including vans); (b) Intermediate – for drivers of jeepneys, AUVs/FX; (c) Advanced – for drivers of mini-buses, buses (including company shuttles and tourist buses); and (d) Heavy vehicles – for drivers of trucks of different types (incidentally, there could be a stricter rule for those driving articulated vehicles). Intermediate drivers may handle taxis and company cars and Advanced drivers may handle vehicles covered by Basic and Intermediate licenses. However, Heavy vehicle licenses are specifically for truck drivers and do not include passenger utility vehicles. All licenses mentioned allows the driver to handle private cars such as their own. Current drivers of PUVs and trucks should be required to undergo theoretical and practical examinations within a grace period (say 2 years) set by the LTO. Practical examinations should be able to simulate actual situations on the road. Failure in any or both examinations will require re-training of the person as a prerequisite for a second and last chance to pass the examinations. Theoretical tests must be computerized and questions selected randomly in order to ensure that both examination and the examinees are honest, and results are reliable. Needless to say, the LTO is required to build capacity for such upgrading of the licensing system. The agency may even want to consider the acquisition of state of the art driving simulators for the practical exams. That way, it may be possible to have a very objective test for persons wanting to acquire a specific license. Expensive? Yes it is, but if that is what it takes to make our roads safe and arrest the rapidly increasing death toll due to road crashes, then it is a necessity. The loss of a life and/or a limb cost much more than a simulator. What more if we are talking about lives and limbs. Investing in road safety through investing in a more rigid licensing system is a necessity that we need not delay in addressing. After all, there is also that observation that the traffic in our streets reflect what we are as a nation. Figure that out! As I was reviewing a paper concerning a study on vehicles utilizing residential streets as alternate routes to congested arterials, I couldn’t help but compare the circumstances described by the authors to the current situation at the University of the Philippines Diliman campus. It is a classic case of motorists who, having free access to roads regardless of the nature of the land use, will choose to take this roads in order to bypass what they perceive to be congested roads. The objective is simple, take the route where travel time is significantly less, thereby getting to your destination faster. Such traffic is often termed as through traffic mainly since they do not have any other purpose along the street. While the paper I was reviewing focused on a single street in a residential district somewhere in Tokyo, the problem in UP Diliman is much more complicated. The UP Diliman campus occupies 493 hectares of prime land in Quezon City, the largest component of Metropolitan Manila. The campus is located between two major thoroughfares – Commonwealth Avenue and C.P. Garcia Avenue (more popularly known by its former name, Katipunan Avenue as well as its designation in the basic circumferential and radial network for Metro Manila, C5). It used to be that campus roads were fair game to general traffic bypassing the traditional connection of Commonwealth and Katipunan at Tandang Sora (where the intersect). The latter being a narrow 2-lane, undivided street often congested because of truck traffic and the operations of tricycles serving the dense residential areas at either side of the road. 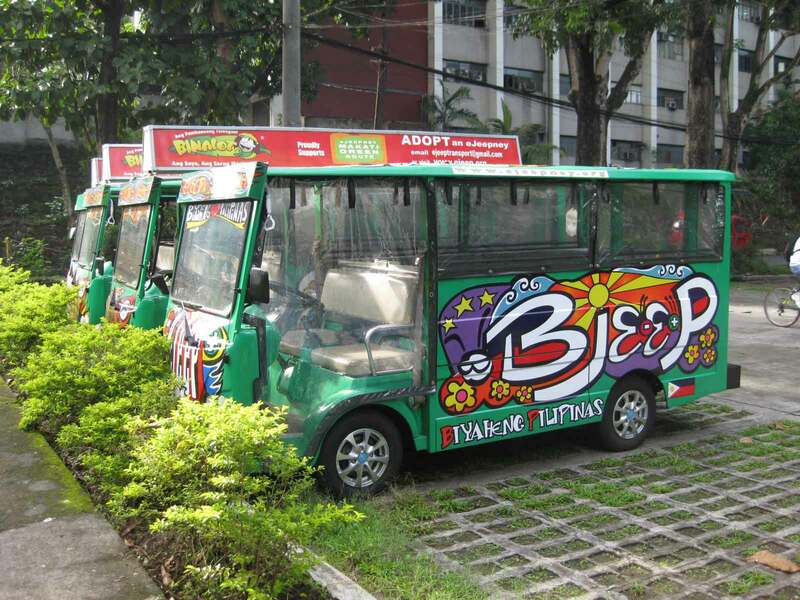 Many vehicles, particularly private cars because trucks were not allowed to use campus roads, came through the campus via its Main Gate along University Avenue and its other gate along Ylanan Road (along Commonwealth) and exit via gates along Magsaysay Avenue (Asian Center), Schuster Street (Narra Residence Hall), or Velasquez Street (NIGS), and vice versa. Due to the increasing volume of through traffic, the University agreed to grant right-of-way to what was to become C.P. Garcia Avenue (later downgraded by the MMDA to C.P. Garcia Street), which practically separated the academic areas from the residential areas located in the south portion of the property. Traffic has since shifted significantly from campus roads to C.P. Garcia but there has been a resurgence of through traffic in the past 3 years mainly due to C.P. Garcia being congested during peak periods. Most through traffic in the morning are vehicles bound for private schools along Katipunan Avenue and these are clearly indicated in the stickers on the windshields of the vehicles as well as the characteristic uniforms of students on-board. There are also significant traffic from motorists bound for the Pasig/Mandaluyong (e.g., Ortigas CBD) and Makati/Taguig (Bonifacio and Makati CBDs) via C5. Such traffic have significantly and detrimentally imposed themselves on the University, affecting the community and more specifically its academic constituents.